Klau, G.W. (2001, September 3). 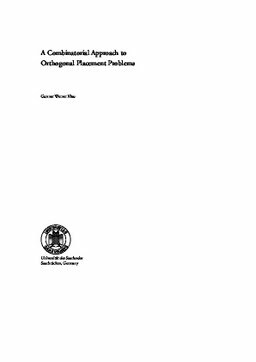 A Combinatorial Approach to Orthogonal Placement Problems.